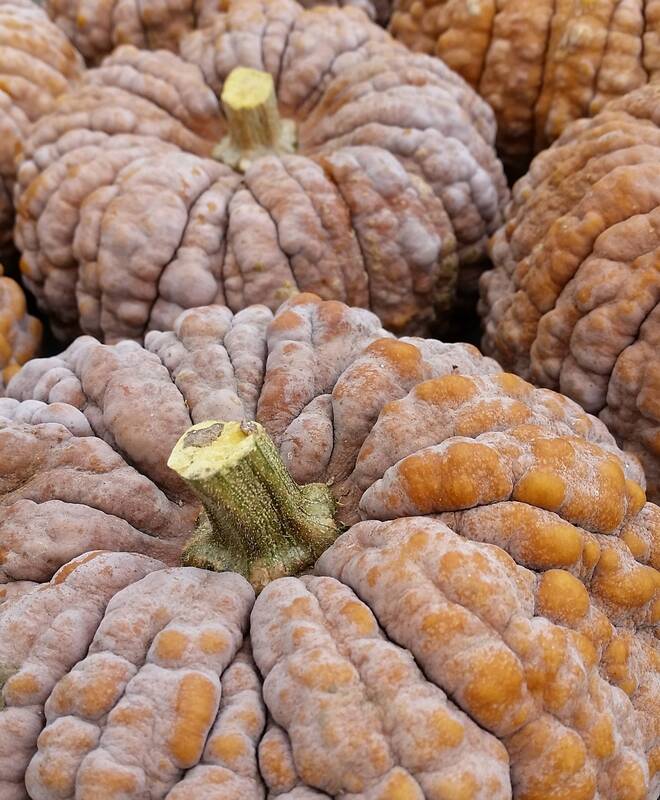 This Japanese heirloom is a little gem, with its warty, heavily ribbed skin that turns from black-green on the vine, to dusky blue at harvest, to rosy-orange chestnut as it cures in storage. Fruits are 2-5 lbs., with delicious fine-textured dry flesh. Skin is thin enough to leave on and eat as roasted slices. Black Futsu is also grated and eaten raw in slaws or salads. Culture: Plant seeds outdoors at around the time of your last expected frost, or start indoors 6 weeks earlier. Full sun. Plants are vining and will spread, but as vining squash go they are quite demure and well-behaved. Leave on the vine until plants begin to die back.